Beijing, China, is one of the world’s largest cities, with a population of more than 20 million. It is the second largest city in China after Shanghai, and is the country’s political, educational, cultural, and business capital. Beijing is divided into 16 urban, suburban, and rural districts. Running in Beijing can be a challenge. The city is densely crowded and there is a lot of traffic. Air quality is another issue. The city experiences a good amount of pollution and smog, and there are some days where is unhealthy or even dangerous to run. If the air quality index (AQI) is more than 150–200 (depending on your sensitivity), consider the hotel gym as an alternative. The best places to run in Beijing are in some of its lovely parks. 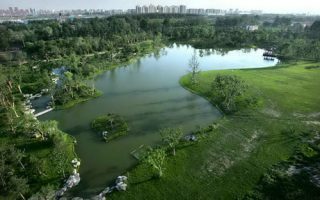 Several of them, such as Olympic Park, Purple Bamboo Park, and Chaoyang (Sun) Park , have well-marked, well maintained running paths or tracks. Running in the area around the Olympic sites is very popular. 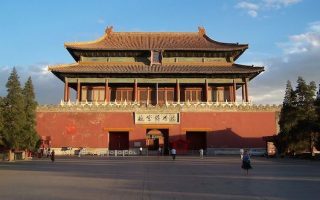 We’ve also put together a ‘running tour’ of some of Beijing’s more important sites in the area around the Tiananmen Square and the Forbidden City. Beijing has an extensive public transportation system. There are buses, subways, and taxis. The subway is inexpensive and a great way to get around, with English language signage. There are also extensive rail links, including to the airport, other cities, and destinations such as the Great Wall. Beijing’s weather can also be challenging for running. Winters can be cold and summers can be uncomfortably hot and humid. An awe-inspiring 'runseeing' tour of the Forbidden City/Tiananmen Square area. 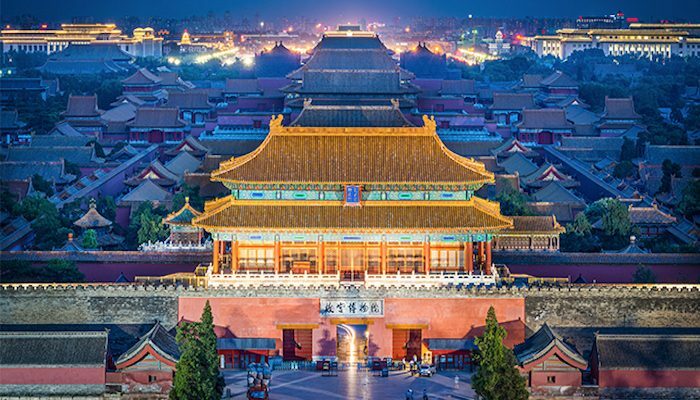 Massive area with the large, pedestrian complex of the Palace Museum, surrounded by ornate and historical parks. 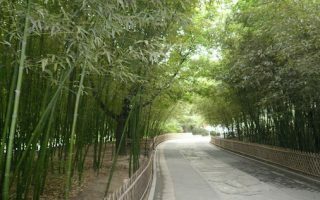 The Olympic Forest Park, built for the Olympics, is a large, man-made nature park at the north end of the Olympic Green in Beijing. It's one of the best spots in Beijing for jogging. There jogging paths, with lengths of 3k, 5k, and 10k. Beijing’s largest park and one of the quietest places for running in central Beijing. It’s very green, with many paved paths interlacing the park. A positive for visitors is the presence of English language signs. Note: admission required. 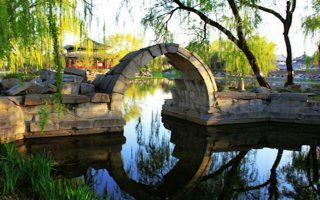 Located in the Haidan District in northwestern Beijing, the park has 3 lakes filled with lily pads, and walkways surrounded by bamboo. There are about 5km worth of paths in the park. Located in the Haidan District and about 4km south of Purple Bamboo Park. A good running spot, with about 6km of trails. 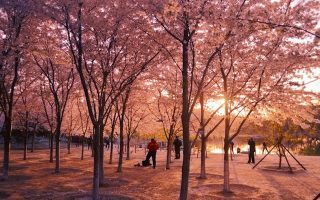 The park is most famous for its nearly 3,000 cherry blossom trees, which bloom in late March/early April. Running around the university is a good way to get off Beijing's busy streets. Adjoining is YuanMingyuan Park to which features lovely gardens and trails. It's ~5 miles around the perimeter of the park. Beijing has a humid continental climate. Summers are hot and humid, with highs averaging 30C (mid-80s). Nights stay warm and muggy. Winters are fairly severe. Average January highs are just above freezing, and lows in the teens. Most of Beijing’s precipitation occurs in spring and summer downpours. Winters, though cold, are quite dry. There is snow but not big storms. Ice and footing is an issue in winter months. Beijing is a densely populated and heavily visited city, and there is a broad selection of centrally located hotels. There is a good cluster of hotels in central Beijing, to the east of Tianamen Square and the Palace Museum. Though busy, there is good running in this area, including some ‘run touring’ opportunities if you go at off hours. There are also lots of hotels near Purple Bamboo and Yuyuantan (Jade Lake) Park, just east of Third Ring Road. Predictably, there are many hotels in the Olympic Park area, which is a good area for running. 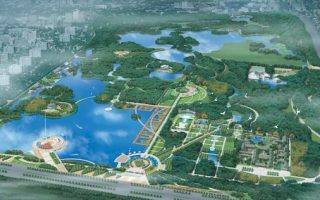 Also, there is a good selection of hotels just to the east and south of YuanMingyuan Park and the Summer Palace, and also near the University for good running. Beijing is well served by running stores of the main shoe and sports apparel companies such as Nike, New Balance, Puma, Asics, and Reebok. They are centrally located and in major shopping areas. Anta is a popular Chinese chain with several stores in Beijing. There are several running stores just east of the Palace. Breakfast Running Group. Most of their training is in ChaoYang Park,. Wednesday mornings 6.30am and Saturday mornings 8.30am, at gate 3 in the north west of the park (south of Solana). On Saturdays they often go for breakfast together after the run. HeyRunning is Beijing’s largest organization organizing running groups, training sessions, and coaching. They do several group running/training events per week, with a varying calendar. They also have aerobics and yoga classes all over the city. Free 5k the last weekend of every month in Chaoyang Park at West Gate 3. Hash House Harriers Beijing. The Beijing chapter of HHH has beer-centric runs Sunday afternoons. Their HQ bar is Paddy O’Sheas on Dongzhemenwei Dajie across from the Canadian Embassy. There is a growing number of running events in Beijing and in China. Beijing Hyandai Marathon and Half Marathon. September. Starts in Tianamen Square. Great Wall of China Marathon. Very popular event. Run in October and May. Multiple distance options. Starts just outside of central Beijing.